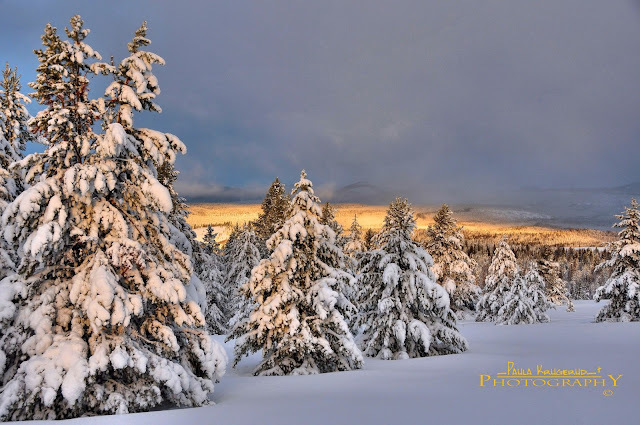 If you enjoy Nordic skiing, Mount Haggin Nordic Ski Area is an ideal winter destination for runners. Mt. Haggin is located 15 miles south of Anaconda on Highway 569, which is the road from Anaconda to Wisdom. Mile High Nordic Ski Club, in cooperation with the Montana Fish, Wildlife,and Parks has established over 30 kilometers of ski trails that reach to the Continental Divide. The trail system is groomed weekly by the volunteers from the ski club, to satisfy commercial skiing standards for both classical and skate styles. Mt Haggin remains one of my favorite ski locations for its majestic snow-capped peaks, blue bird skies, fresh powder and solitude. During weekdays, I frequently have the entire ski area to myself, and during night skiing adventures, I catch glints of the moon and the stellar canopy as I glide over the glittering snow. After skiing, I grab soup and dessert at the cozy Sugar Loaf Lodge, which is just a 3 minute ski away from the parking area for skiing. 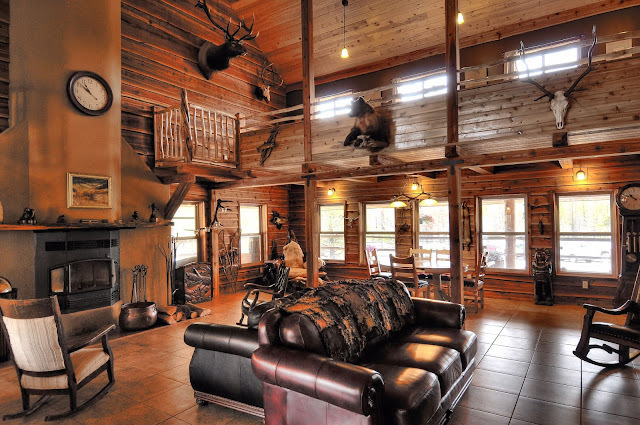 Sugar Loaf Lodge also offers rental cabins. If you want to soak or ride down the 350 foot enclosed waterslide, Fairmont Hot Springs is about a 25 minute drive away. 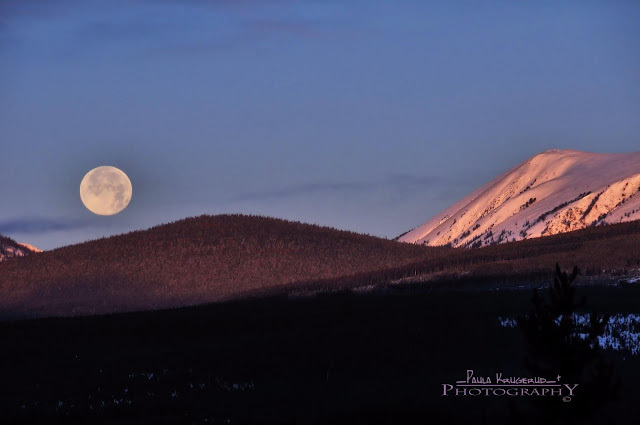 For more information regarding Mt Haggin, see my following interview with John Lundborg, one of the gracious individuals from Mile High Ski Foundation, who voluntarily groom Mt Haggin several times per week. Please tell the readers a little bit about yourself and your history of involvement in Mile High Nordic Ski Foundation and Mt Haggin. I am a retired (Montana Power Company) engineer living near Wise River. I was a member of the Mile High Nordic Ski Club in 1985 when we entered into an agreement with Montana Fish, Wildlife, and Parks to develop a system of nordic ski trails within the Mount Haggin Wildlife Management Area. I’ve been involved with this endeavor continuously ever since - actually, I’m the only original “instigator” still involved. 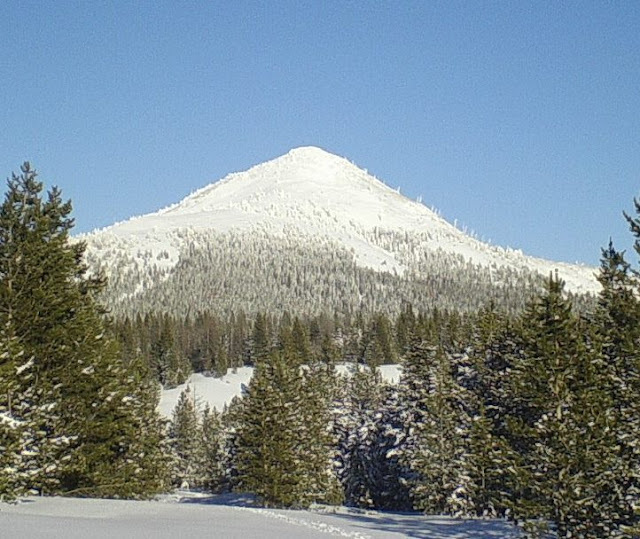 Please tell us about Mt Haggin ski trails and why should outdoor enthusiasts visit Mt Haggin? The original attraction of the Mt. 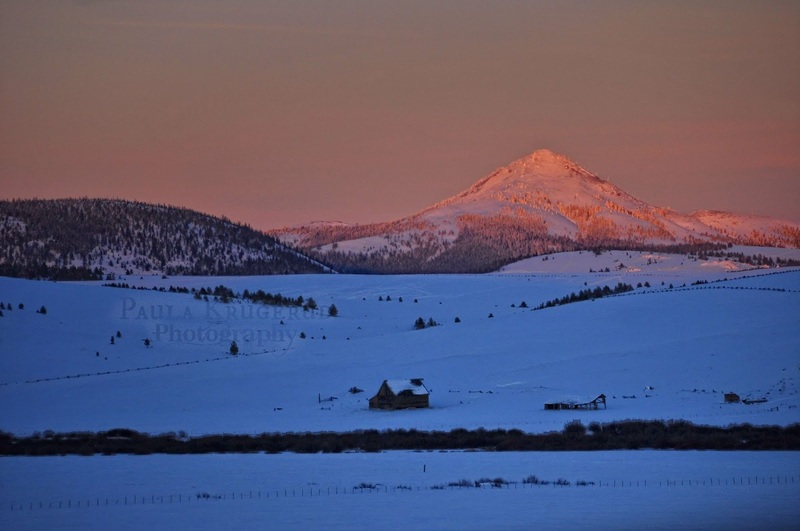 Haggin area for nordic ski enthusiasts was the combination of spectacular scenery, a long season of consistently excellent snow conditions, and a wide variety of terrain. Add to that a system of developed trails and regular grooming. Finally,offer that to the public at no cost (although donations and volunteer work are gratefully accepted). The developed trail system now exceeds 30 km, much of it groomed for both traditional and skate skiing, with some segments only groomed for traditional. Grooming is done at least once a week, usually on Thursday night and Friday so that weekend conditions are optimal. 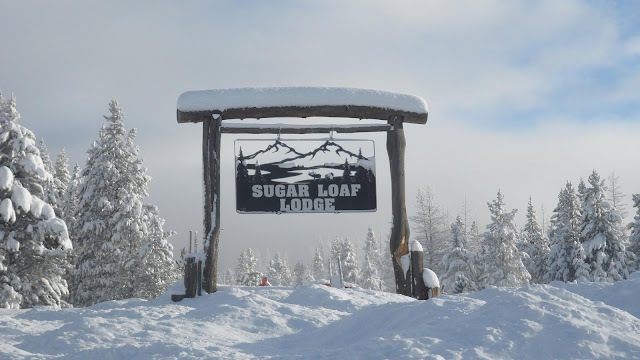 How does Mt Haggin Ski Area offer such fantastic services such as regular trail grooming, youth programs and a warming hut without charging the public? The Mile High Nordic Ski Club has always depended on dues, donations,and annual fundraisers to fund operations and capital investments. In recent years, the federal Recreational Trails Program (under several names) has made funds available for matching grants. 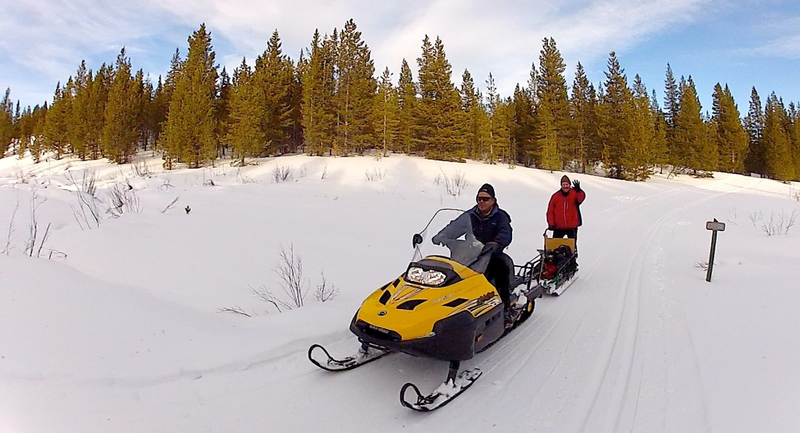 To facilitate that process and also to increase private donations, the Club has secured a 501(c)(3) designation as the “Mile High Nordic Ski Education Foundation.” Particularly with the matching grants, we have been able to improve our “fleet” of grooming vehicles and implements by an order of magnitude over the last 10 years. Equally important, like every service organization, we have a core group of dedicated members who have made the MHNSEF mission their obsession (or at least very high on their set of obligations). 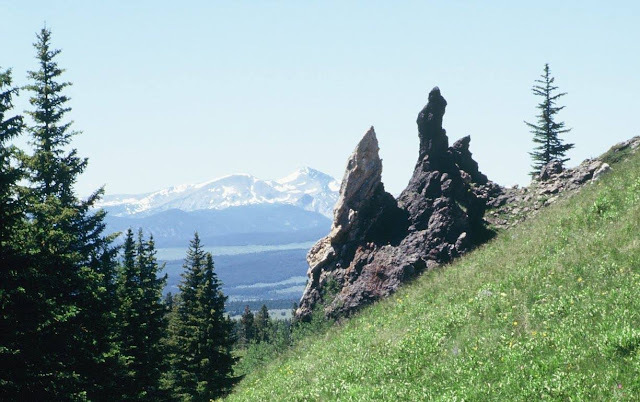 What is the most interesting thing about the history of Mt Haggin? The Mt. 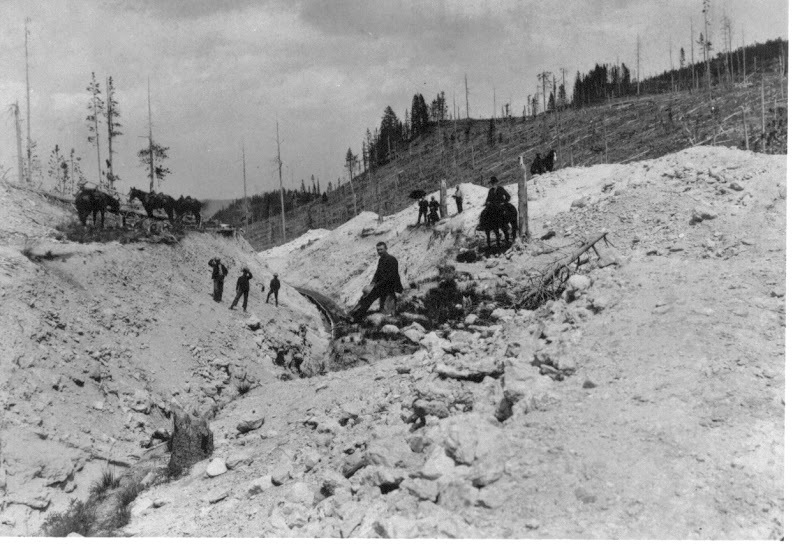 Haggin area was prominent in the development of the Butte mining operation. 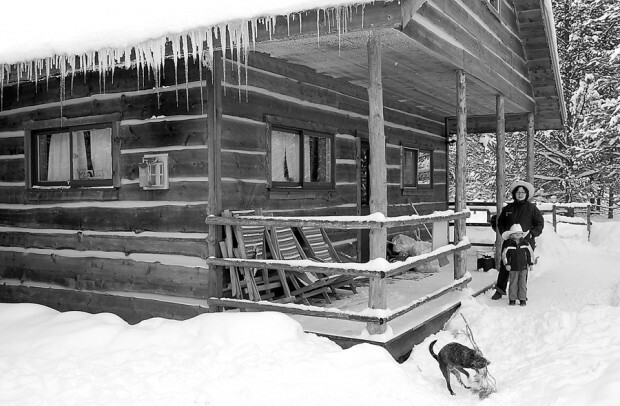 The immediate area of the ski trails was logged early in the 20th century to provide timbers (stulls and lagging), boiler fuel, and lumber. 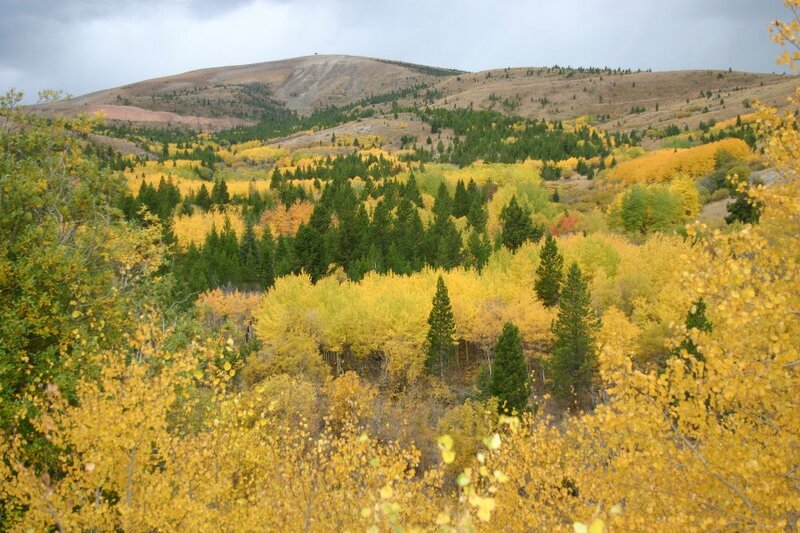 At that time it was National Forest, and the timber sales were supervised under the direction of Gifford Pinchot, known as the father of the modern Forest Service. Pinchot spent time at Mt. Haggin and some timbering methods still in use were developed there. I think the most interesting thing about the logging operation had to do with transport of product. 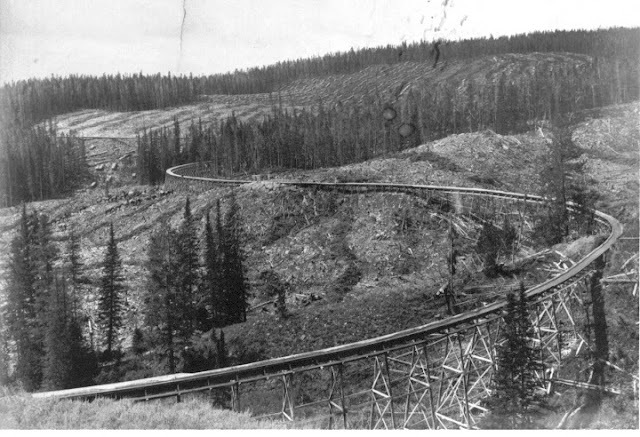 Steam winch cable trams on narrow gage rails were used to haul logs from the lowest part of each drainage to a water flume around the 7000 foot elevation. The flume was fed with water that was impounded high in some of the drainages, particularly American Creek. The flume destination was in the Mill Creek Valley, just a few miles upstream from the Dave Gates Generation Station. ultimately flow into the Gulf of Mexico via the Mississippi River. The Mill Creek drainage, however, flows toward the Columbia River and the Pacific Ocean. Therefore, the flume system at Mt. Haggin took water destined for the Atlantic Ocean and redirected it over the Continental Divide and into the Pacific Ocean! Please take a look at the historical photos and read Jack Gilluly’s account on the Club website MileHighNordic.org . Many historic artifacts are still evident today when the snow is gone. When does the ski season typically start / end and when do the trails become runnable? freeze harden the pack to concrete. The good news is that the spring snow conditions make it possible to go anywhere (better off-trail) in the morning with just a bit of hoarfrost on the crust for control. This spring skiing can last till May. the system (Li’l Cal, Vanna’s Way, Sapsucker, and undeveloped Spire Loop). The best way to access this country is from the Mule Ranch, via the American Creek Road. Thank you, John, for the interesting interview. 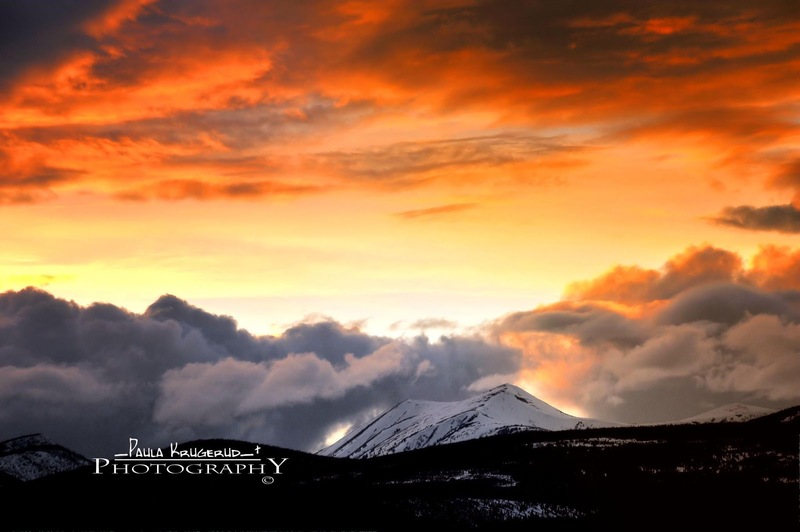 We appreciate all that you and Mile High Ski Foundation do to make Mt Haggin accessible for others to enjoy the area’s pristine beauty! 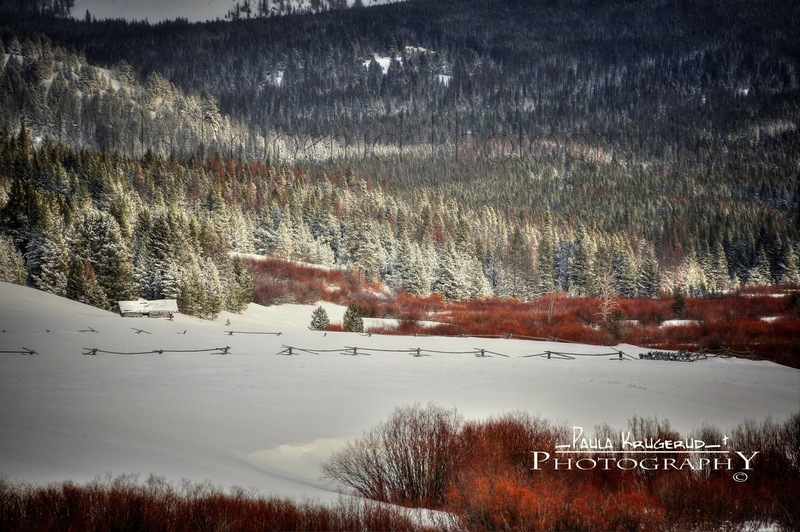 To see more of Paula's beautiful photos see her website here or her Facebook page here.